Unlike letters in our alphabet the Kanji for Rei and Ki are ideograms with multidimensional meaning that spans from the mundane to the esoteric. The commonly accepted meaning for Rei is Universal and the meaning for Ki is life force energy. Reiki (pronounced Ray Key) is an method of healing, finding its roots thousand of years ago in Tibet, India, China and more recently in Japan and Hawaii. Reiki was originally a spiritual practice, it became a healing practice with the influence of Mrs. Takata who brought the methodology from Japan to Hawaii. From the beginning Reiki was said to be an “intelligent energy.” What is the intelligence and how can it guide energy? To elucidate this we need to look deeper into the meaning of Rei and Ki. The essence of Rei is that of non-energy. It is what the ancient called Wuji and what physicists call the Unifying Field or the stuff — or more accurately the non-stuff—that holds creation together. In reality it is that, which defines a pattern of electron and proton… as a galaxy or your liver! That non-stuff is known to be the space between the tiny quantum particles that make up what we “think to be matter”, and that we are told, by physicists, accounts for 99.99% or everything! Therefore, the deeper meaning of Rei is what holds the matter, the creation together. Rei is the Universal Spiritual Consciousness, or Spiritually Guided Consciousness. It permeates our universe and everyone/everything within it. Ki on the other hand, is the identifiable particle of energy that forms what we know to be matter. When looking at an atom we find the same building blocks (electron, proton, neutron) in everything that exists. That Ki has many names from Chi to Ti or Prana. In our Reiki 1 training we explain how this is possible and why we perceive reality the way we do. It is thus the very nature of Reiki, which makes it a spiritual practice as well as a healing methodology. For centuries the knowledge of Reiki was secretly guarded and transmitted orally from teacher to student. As such, much was distorted, some information was added or lost or transformed to give us today the wide range of Reiki training programs available online and in-person. One of the most striking differences encountered is the purpose and number of the attunement received and the recommended practice after Reiki 1. Some of this is explained below but you may want to read: Why not all Reiki classes are created equal. In some lineage, the spiritual practices were stripped away to turn Reiki into an acceptable methodology. The result is that the effect of Reiki is seen to be the result of the placebo effect. But what is the placebo effect, if not faith; and what is faith if not a state of consciousness. To learn about the nature of consciousness see the Mastery of Awareness program. If you want to learn Reiki it is then important to assess if your class will include both the spiritual practices and the methodology. Be sure to review the class description or request one from your teacher. See our curriculum for Reiki 1, Reiki 2, Reiki Mastership. 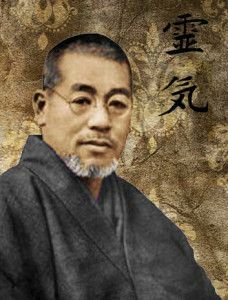 Reiki was developed by Sensei Mikao Usui who was born on August 15, 1865 in the village of 'Taniai-mura' in the Yamagata district of Gifu prefecture Kyoto. During his life Miako Usui held many different professions such as public servant, office worker, industrialist, reporter, politician's secretary, missionary, supervisor of convicts. He also worked as a private secretary to a politician Shimpei Goto, who was Secretary of the Railroad, Postmaster General and Secretary of the Interior and State. At some point in his life he became a Tendai Buddhist Monk/Priest. Many theories exists as to the origin of Reiki. Some seemed to be made up out of fear like the notion that Mikao Usui was a Christian who had been inspired by Jesus. Dr Usui was undoubtedly a Buddhist yet his travel to the United State and Europe may have indeed revealed to him the parallel between the healing of Buddha and Jesus. Yet, the very nature of Reiki does not exclude one from the other. In fact Reiki can be integrated with any belief system; or none at all, as it can even be understood to fit within the quantum mechanic paradigm. And although the history of Reiki may be a fascinating endeavor for a scholar it may not add to the understanding of this practice, which existed before Mikao Usui rediscovered it. Thus, Reiki is not associated with any religious beliefs and all religions are honored in the practice of Reiki. For detailed information on how Reiki was brought to us and spread in the US, I recommend Reiki, The legacy of Dr Mikao Usui by Frank Arjava Petter. All other modality channel Ki from the feet or the environment. The most common method is to channel the much heavier telluric energy of the earth, which is brought up from the feet to the Tantien then to the hands. Because the Tantien is the sit of your personal vitality, this process requires from the practitioner a diligent practice to replenish the vital life force stored in the Tantien (second Chakra). Qi Gong Masters adopt a daily routine to cultivate the Ki so they can then direct that life force energy to heal or to break bricks! Failing to do so result in the depletion of vitality in the practitioner and possibly serious health issues. Pranic Healing uses the breath to gather Ki /Chi energy from the “air” (Prana). This much lighter frequency than the telluric energy is also channeled through the upper chakras; avoiding possible triggers as the energy travels through the lower chakras. After your training, the Reiki energy will flow from Source through your Crown Chakra and into your hands. From there the Reiki energy flows naturally and effortlessly into the body of the person being treated. The energy is used to normalize body functions. It helps to reestablish balance and harmony in the physical, emotional, mental and spiritual bodies so that the natural function of the physical body is restored. Reiki differs from other healing methods in that a specific attunement process is used to prepare students for the flow of healing energy. NOTE: Think of the physical, emotional, mental, spiritual or Karmic level/body/plane as field of energy with different frequency. One (physical) that our brain has learned to translate to tell us it is tangible, and the others, that we perceive in different ways, but which are just as real. These are not as defined and separated as some graphics make them to be; but to give substance to thoughts we express them with words. Our words create form and in that simple process of expression anything that does not have form becomes “esoteric”. Reiki energy is the energy of Source. The infinite range of vibrational energies always matches the receiver for its highest good. During the attunements the energy is transmitted through the crown chakra and sealed in the hands. 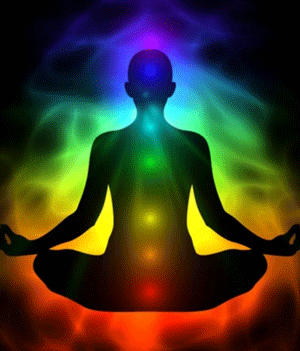 Each chakra is cleansed and balanced and the Crown chakra is opened a little more with each level. The attunements of Reiki 1 introduce the aspiring practitioner to this unique vibrational frequency; but it is through dedicated practice, on oneself, for 21 days, that the student becomes "attuned" to the frequency of Reiki, which he/she will be able to use for Reiki treatments on self and on others. With practice the bandwidth widens and more energy flows through the aspiring Reiki Master. The attunements are not a magic wand ceremony: they first clear and align the student chakra then they open the crown chakra to channel the energy of Reiki and introduce the student to the Reiki vibration. It is up to the student to nurture this frequency. Several symbols representing the Reiki energy are placed in the aura of the person during the attunements. If, after the first class, the student is in conflict with the Reiki teaching or neglects to practice for 21 days on him/herself, then the frequency does not permeate his being and the symbols dissipate form the aura. For this reason, I have met people who sadly were not advised to have the 21 day practice (that Dr Mikao Usui practice on himself during his retreat to mount Kori-yama); and who tell me that Reiki doesn't work or that they feel nothing. A “booster” attunement and regular practice can remedy this problem. During each attunement, (four in Reiki 1, two in Reiki 2 and one in Reiki 3), the student goes in a guided meditation to either release what no longer serves him/her or to receive guidance from Source or the guide meet in the first attunement of Reiki 1. This “guide” is the antenna to Source and the Soul. It will provide personal direction and guidance during treatment. The following of this guidance and building of partnership is understood and practiced with the self-healing methodology taught in Reiki 1. As a channel of Source Energy the practitioner never tires and may even be energized when giving a Reiki treatment He is also protected at all times and never depleted. This point is crucial in the understanding of energy healing. Energy always flows from a high frequency to a lower. In her book the intention experiment Lynn Mc Taggart describes an experiment in which healing energy promoted the growth of a single cell organism held in a Petri dish. However, when healers were monitored individually, these creatures either stopped growing or even died when the healers felt depressed or depleted by an ailment! When attending the four year energy medicine program at the Institute of Healing Art and Science, I noticed that my classmates were tired after giving treatments because they did not have a personal self healing practice and because the energy was brought through the Tantien and they gave their own energy with the practice. This is why Reiki 1 is the most important level of all and we made it the foundation class of the Energy Medicine Program. Because the will of the practitioner is secondary to the practice of Reiki, In reiki 2 you learn to “channel” unique healing for the receiver following your own intuition and the guidance that you receive from Source or your Reiki guide is a versatile modality which can be used in conjunction with, and to enhance, any other method of healing. What happens when an energy medicine practitioner is not healthy? If they are Reiki practitioners then the energy of Source come through their body and will replenish them and then flow to the client. The client cannot be hurt because the energy flows still through them but depending of how much the practitioner needs and how long the treatment is the client may not receive as much as was possible. If your practitioner is not practicing reiki they are using their will. In this case not only will the energy you receive be tinted by the frequency of their challenge but thy will use their will with good intention that will deplete them further and place their health in jeopardy. 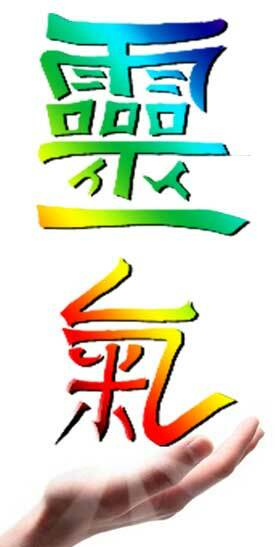 There are two distinct ideology when it come to the practice of Reiki. Both work very well and each will appeal to different personality. Mrs. Takata’s style relies heavily on memorizing a specific protocol and working with standard procedures that remains the same for each client. Remember that originally Reiki was a spiritual practice, but it is Mrs Takata who transformed it to become a system of healing. She taught specific healing such as the positions for eyes treatment. Dr. Usui’s style used a more intuitive approach. The hand positions are taught but are not necessarily all included in a treatment. Dr Usui emphasis was to teach his students to develop their intuition, to connect with source with the Reiji-Ho to find guidance for the "right" hand placements. This method results in a unique treatment for each client. He also taught the Byosen/scanning of the body and how to sensitize the hands. the Gassho meditation to clear one self of negative emotions, the Kenyoku or dry bathing, the Koki-ho which uses the breath to heal, the Gyoshi-ho to send Reiki with the eyes, plus methods for clearing negative energy from objects and for sending distant healing. All of the above are taught in our Reiki classes. The I.E.M.I. offers the best of both worlds. Our Reiki program includes the standard protocol favored by Mrs. Takata as well as her specialty healings, plus all of Dr Usui's method of healing and protections, while teaching the student to work synergistically and in partnership with the Source of the Spiritually Guided Universal Life Force Energy (Reiki). Our style validates and encourages the development of second sight and intuition. And offers the aspiring Reiki Master the tools to remain healthy and grow with experience. When attuned by Chantal you will be a 10th generation including Dr Mikao Usui! A very short lineage in which the ancient Tibetan teaching were preserved and will be passed on to you. See what her students say about that teacher. Reiki is taught in levels, referred also as degrees. Reiki 1 is the level to heal your self and al the tools from al three levels have been pulled into this one to help you in your life and on your path. May student o not want to become healers but will take this class to raise their vibration and become aligned with their soul’s purpose. Reiki 2 is the level to develop your intuition, High Sensory Perception through a nurtured partnership with Source/Reiki guide to channel healings and to be able to do Reiki remotely. Reiki Teacher Training is a separate class in which you learn to give the attunements, learn to teach each class and practice this teaching. Teaching requires unique skills and a desire to teach and continually learn. It also requires much practice to understand what Reiki has to offer. Both are a prerequisite to this program. Because of the nature of Reiki, as a spiritually guided life force energy, the most significant benefit is that your vision of yourself and creation will be changed forever. As you become attuned to the high vibration of Source and begin to release blocks you also become attuned to the frequency of your soul and aware of the guidance of your Soul (which is at one with Source). Life begins to unfold as you are now in alignment with your purpose and the aspirations of your soul. Continue here with the Power of Reiki. Because Reiki does not require analysis of overt symptoms as would Pranic Healing or Jin Shin Jyutsu, for example, and because Reiki flows independently of the will of the practitioner, Reiki can be combine with any other modality. However we do not teach “specialty” Reiki before Reiki 2 because the level of Reiki 2 is to develop the intuition and High Sensory Perception that will reveal to the student their unique skills, interests, and purpose. If you were to learn a hybrid Reiki from the start and this was not a match to what you are meant to focus on or not in alignment with your skills and talent you would essential be derailed from your path. As such we keep the Reiki teaching pure. Lightarian Reiki claims to amplify the range of frequency that you can channel as a Reiki Practitioner. It is said that the channeled Reiki is of a higher vibrational and that you may raise your personal vibration as you step through the various levels of the program. If we understand that in Reiki, we do not force the energy toward something or someone but let it flow, and that it is the receiver who will get as much as he/she requires for harmonization, then the purpose of Lightarian Reiki may be questionable, since that prson will lget exactly what they need and for their "highest good". The ideology presented in Lightarian Reiki places the energy of Reiki as being a "band or frequency" thus changing the nature of Reiki, from coming directly from Source to being a special frequency of energy which is not defined. It literally strips Reiki of the power of Rei. Furthermore the "band of energy" evoke a separation in a healing paradigm based on unconditional Love and unity consciousess. Plus nowhere on the Lightarian Institute for Global Transformation website or in the manual given to student does it report how the frequencies of each "level of Reiki" were tested, measure and recorded. The following information has not been verified by the IEMI and is presented for your consideration. I was attuned to the "level 6" and although the experience was enjoyable, I would not qualify it as transformational as was my initial attunements to Usui Reiki at each and any level. Students and clients testimonials from my students attest to the transformational effects of Reiki Usui. 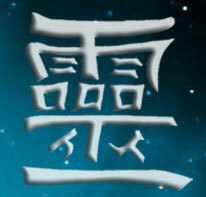 Lightarian Reiki is available to Karuna Reiki Master and Usui Masters who have received the "Buddhic Boost". Once attuned to the energy of LIGHTARIAN™ REIKI V et VI it is possible to access the ninth band of density associated with the Ascended Masters. Yet, do not believe that by accessing this band of energy one becomes an ascended master. It only enables the practitioner to channel this energy level for the greater good of the receiver IF this is what is needed. So it is an available frequency of the Reiki Energy. The frequency of Reiki energy being higher the treatments are much shorter with more noticeable results. Prerequisite: Usui Reiki III or Karuna Reiki. Fees for Lightarian Reiki are set by the Lightarian Institute for Global Transformation. Chantal can attune you to Lightarian Reiki if you choose to. There isn't one modality better than another. All system of healing are based on the observation of the human body and the human and universal energy fields. Therefore, shouldn't they all make sense and have much information correlating to each other than differences? Our major dilemma concerning the future and acceptance of energy medicine is that each modality uses a different vocabulary so they appear remove form each other. Each presented their point of view as a complete system when in reality they are facet of a larger body of knowledge. Each attempts to defend their point of view by keeping the methodology hermetic to the whole. When Reiki was a secret it was feared and mistrusted. Now that the "secrets"; of Reiki are out in the open, Reiki is offered as a complementary treatment in the majority of hospital on the East Coast and many others throughout the world. Transparency regarding the various methodologies available today can help us understand the multidimensional aspect of the human being and helps us harmony in our World and ourselves. It is the Integrative Energy Medicine mission to integrate the various body of knowledge into a complete system that encompasses the individual on all levels and fabric of reality itself. Very much tied to the Energy Medicine program is our Mastery of Awareness™ program, which teaches about the nature of consciousness and applies ancient knowledge and modern technology to expand personal awareness into the multidimensional aspect of consciousness.